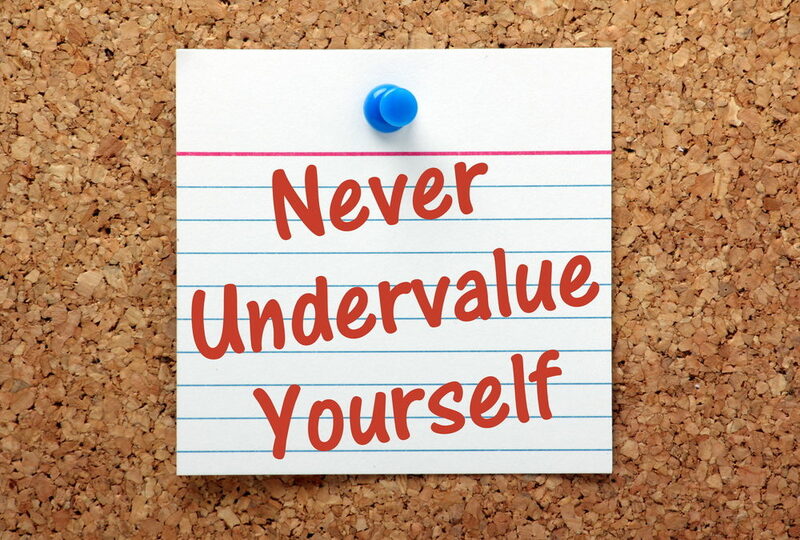 You have value…don’t ever let anyone convince you otherwise. Several times over the last few weeks I’ve had someone close to me say “I don’t have a college degree, therefore I can’t make $(insert monetary amount here) like those that do”. My response, “really? Hmm, is that true or just a story you are telling yourself.” As a coach, I love to ask my clients to collect evidence. How do you do that you ask? Well, how would you do that? I could tell you how, but I’m fairly certain you do know options you could take to gather data to answer this question. Let me share a few brief stories. When I was between 10 and 13 years of age I delivered papers morning and evening in the neighborhood where I grew up. From 13 to 16 years of age, I took care of people’s yards. By the time I was 16 I was working in the grocery business for a nationally well-known company. By the age of 18, I was a department manager in the grocery business and I was making about $13 an hour and leading a team of 10 members several who were three times my age. You may not think so now, but $13 an hour for an 18-year-old was pretty good money in 1985. I know people today who work hard and put a lot of hours in a week who are making less than $13 an hour. What’s my point? I didn’t have a college degree, yet I was making decent money and it was more than a fair number of working professionals I knew at the time. I didn’t have a college degree and quite frankly those I worked for didn’t care…at least not when it came to whether or not I was capable of doing the job. Listen, I value education. In fact, I have three college degrees hanging on a wall to prove it. I know a great many highly successful people today, who I find to be highly intelligent and yet they hold no college degree. In fact, I personally know someone who is making a seven-figure annual income and he never graduated high school. What’s really at play here is their BS…belief system. Their existing belief system can’t support the notion of there being an infinite way to earn the income they desire unless they have a sheet of paper hanging on a wall, or a line to include in their bio or application, which they believe gives them credibility. Seriously, I know a lot of people with degrees who I wouldn’t pay to do some of the most basic of tasks. What people with limiting beliefs need to do is create a new belief. You see, life, and life experience can be one of the greatest education systems in the world. So what is it you aspire to do? Where are you today in relation to what you want to do? Meaning, do you have the knowledge and ability to do what you want to do? If you need some kind of training is it possible you could acquire it through means other than college? Now, I’m not saying they must be all these things, though if they are and they have a college degree…all the better. If you’ve been buying into lies pushed by society, those around you, or that you conjured up in your mind, then it’s time to put a stop to them. Don’t know how? I encourage you to consider hiring a coach. Don’t know what coaching is really about? Send me a note and let’s get on a brief call. I’d love to learn more about you and help educate you on what coaching is, what it isn’t, and how it can help.